If Fight Pass wanted to take all our money they would green light this project. We are shook how excellent this UFC Anime Opening intro video is. It’s pretty much perfect and we would stay up at all hours of the night to watch it on Adult Swim’s Toonami. 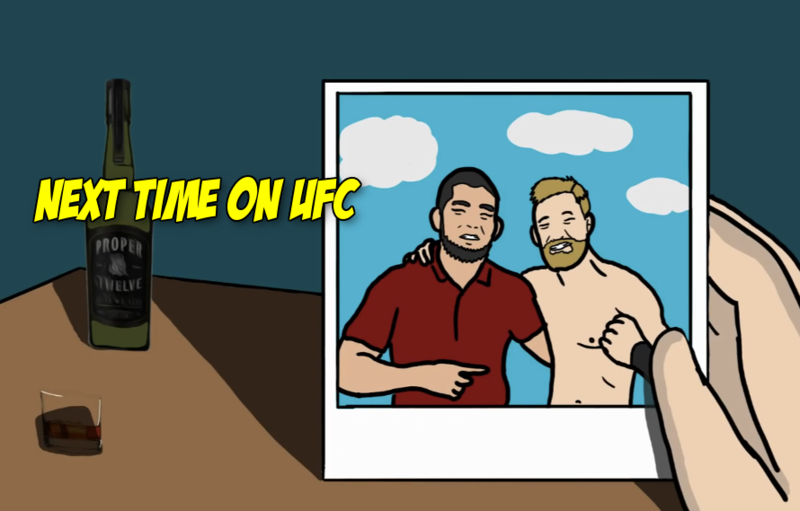 Now that we have seen the epic of tale of the UFC’s lightweight and featherweight divisions told in Anime form, we can never go back. We need to see the fully fleshed out product. Tony Ferguson is meditating by camp fires. Conor McGregor shed a single tear. And we’re 99% sure Khabib Nurmagomedov morphed into a Giant Eagle Monster. We haven’t been this hyped since the worlds of MiddleEasy and Dragon Ball Z have fused together to form a singular identity and a brand new universe. back in the summer of 2016. Yes, we are here for all of this. Bless you Toughest Nugget Productions for birthing this MMA masterpiece. “I am not an animator I used the Rotoscoping techniques to create these clips taking scenes from pre-existing fights and spliced them with some anime scenes I thought fit well. The scenes I used are from some of my favorite anime series; Dragonball, Naruto, Bleach, One Piece, My Hero Academia, and Gintama. This video right here is the best thing you will see all day. Check out the beautiful production below.